Rutherglen vines in the morning mist. Rutherglen as a tourist destination provides a vision of a rural idyll surrounded by Victorian buildings, vineyards, sheep and intertwined family history. To borrow a concept from Bernard Salt, at around 300 kilometres from Melbourne and further still from Sydney, it is comfortably out of the orbit of the major capitals. Yet, scratch under the surface and the changes emerge. Serious food and wine offerings have sprung up, such as the superb new wine bar (Thousand Pound Wine Bar and Store), seemingly teleported direct from St Kilda. Out of town, both Jones Winery and the ambitious new Ripe restaurant at Buller Wines prove very good for lunch and well beyond simple country fare. The wine industry is changing too. Venerable family estate Morris has found a new home under Casella’s ownership, the opportunity seemingly embraced in view of its reported proposed closure in the hands of former owner Pernod Ricard. 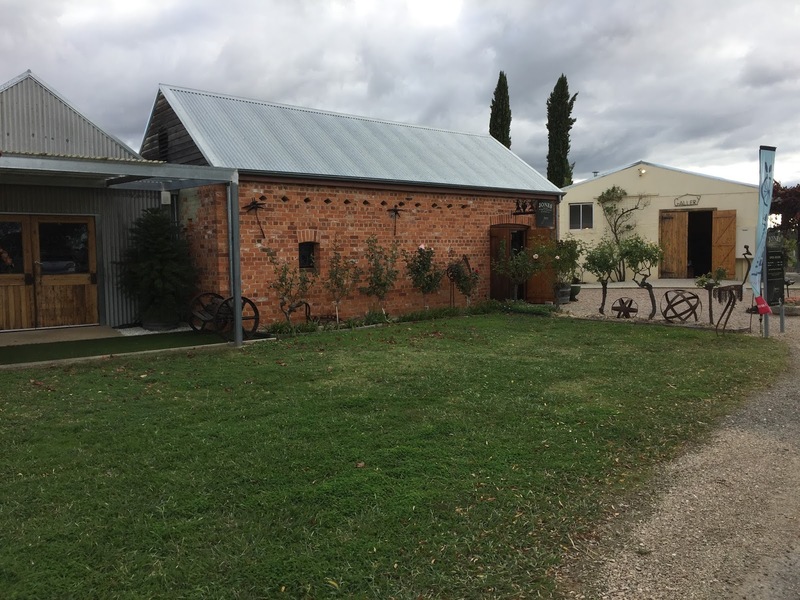 Buller wines is being visibly rejuvenated by new owners too, the Judd family, while Rutherglen Estates prospers under Chinese ownership and the thoughtful winemaking of Marc Scalzo. Yes, well and good you say, but what about the wine? Isn’t Rutherglen a region for fortified wines which everyone agrees are wonderful, are an international benchmark wine style and quite scarce too, but remain in genteel decline for reasons unrelated to expert wine opinion? And what about durif, a grape that is prone to excess when the pendulum has swung to mid weight wine? Well, as always, the real position is more nuanced. The fortified muscat offerings remain utterly superb, and I attended a quite extraordinary classification tasting with Chris Pfeiffer of Pfeiffer Wines that more or less proved it. The write up deserves its own post. And durif. Well, there’s nuance in durif too, with talk of clones, vineyards, terroir and a tasting where wines ranged in style and alcohols from 13.3% to 17%. I’ll write that up separately too. And then there’s the whites. White Rutherglen … who knew? 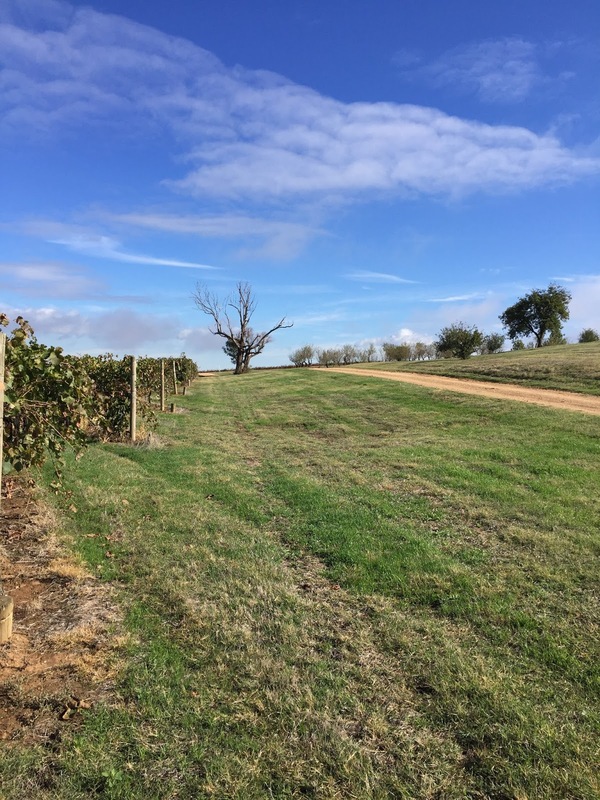 But before I talk about the wines, here are a few on the ground facts about the Rutherglen wine region deduced from a couple of days of informally walking and talking to producers. 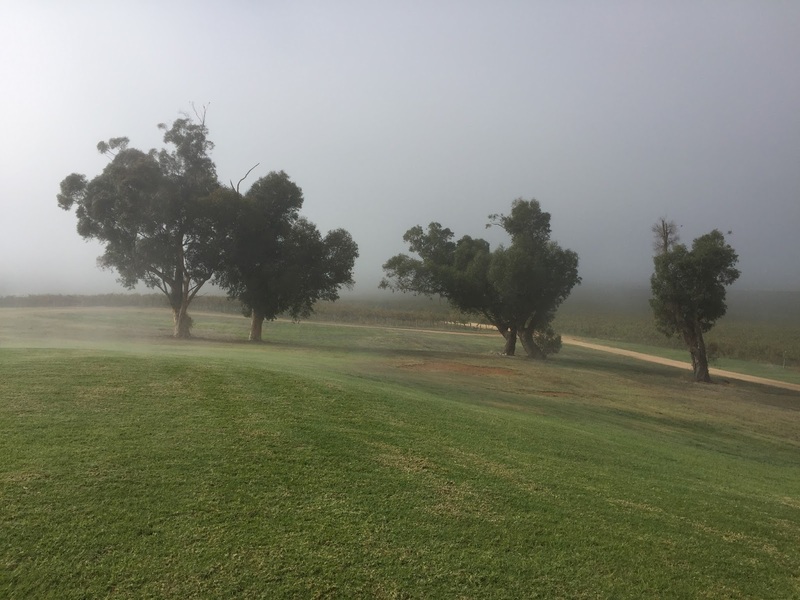 The region is classified as warm climate, and is broadly similar to the Barossa Valley in terms of temperature but proximity to the foothills of the Alps moderates night time temperatures. Unlike further north, vintage matters here: 2002-2010 were drought years, 2011 was terrible, 2014 was wiped out by significant frost and good wines were made in the other more recent vintages. Most producers irrigate, add acid and shade fruit to avoid sunburn. Springs can be wet, and the summers dry. The soils range from clays to sands, the latter being said to give wines a more floral character. Picking occurs in roughly February for whites, March for reds and April/May for red/brown muscat (muscat à petits grains) and white muscadelle (both of which are intentionally left on the vine to raisin). The region has seen compression in picking windows in some recent years (although not the current cooler vintage conditions, it would seem). As I suspect a rather deliberate eye opener, I commenced wine tasting with a bracket of alternative white varieties from Rutherglen. These included chardonnay, a riesling and a viognier, but I thought the most interesting wines had marsanne in them. My surprise at the freshness and balance in these wines was tempered by the slow realisation that Nagambie is not particularly far away as the crow flies, and Tahbilk has hectares of it growing there. A fiano proved rather interesting too. Here are my notes. Marsanne and Roussanne both survived the drought years in Rutherglen in style. The latter retains more natural acidity. Aromas of bread, hay, minerals and some cedar influence. The palate is fuller bodied with a touch of butter and mid range length. This wine has an apple streak running through its bread and floral aromatics. The palate is all apples, lemons and apricots. I have been critical of viognier, but it works here in a blend. Floral, hay and apricot blossom aromatics. The palate is fuller bodied and citrus dominant, with phenolics evident. Well made. Soft skinned viognier can be hard in the vineyard, but it is very well managed in this wine which proved to be the wine of the set. Kernel stones, cedar and smoke characters. The palate is full bodied with good length supplemented by ginger and apricot notes. This wine sees no added acid and is grown on red clay with no irrigation. Overt floral aromatics with notes of peach, almost ice cream. The palate is medium bodied with a fresh style and floral overlay. Enjoyable read Sean. Good to see your lens applied to this region that many, I included, just see as a home for fortifieds.Also nicely done on the website makeover, I rarely visit actual sites these days, rather using some form of reader for content consumption. Cheers. Thanks for a great article Sean. Hope to see you back here at Buller Wines soon. The new fireplace has gone in at Ripe and our new 16 reds are about to be released.